Now that you have registered for the Race, please join us as a volunteer for Race for the Cure®! Show your passion for the breast cancer cause and take action. Prove that you too are More Than Pink™. We welcome any and all fun-loving, enthusiastic, hard-working and reliable individuals who are registered for the current Race and who are willing to contribute to the success of this important event. 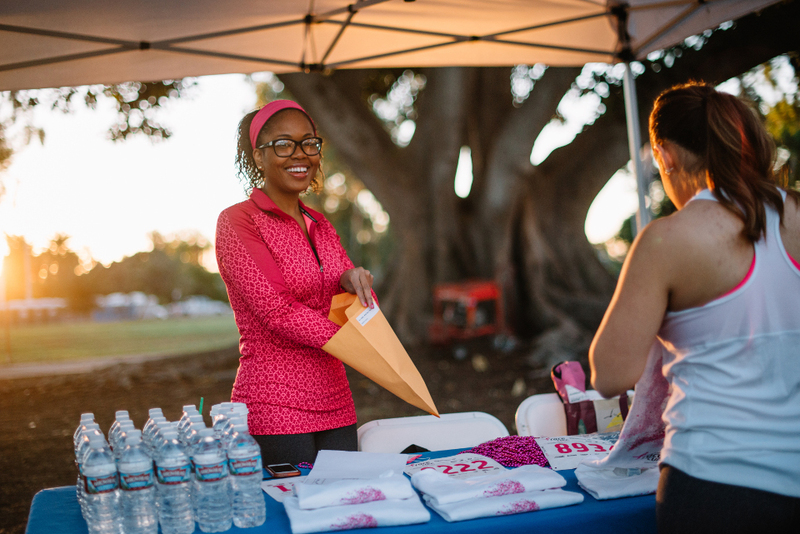 By volunteering, you’ll help make your local event a success, which in turn will help Komen fund breast cancer research, education, screening and treatment. Not only will you make an impact in the fight against breast cancer, you will also have fun, feel rewarded and meet some truly incredible people—survivors, family members, allies and more, all of whom have been impacted by this devastating disease. We are currently recruiting volunteers for the 2018 Race for the Cure and Brats for the Cure. You must be registered for the Race in order to Volunteer. American Airlines is proud to serve as the National Volunteer Sponsor of the 2017 Race for the Cure. We invite you to volunteer alongside American’s 100,000 employees to help further Komen’s mission in our community and in cities nationwide.